4x4s just got faster. 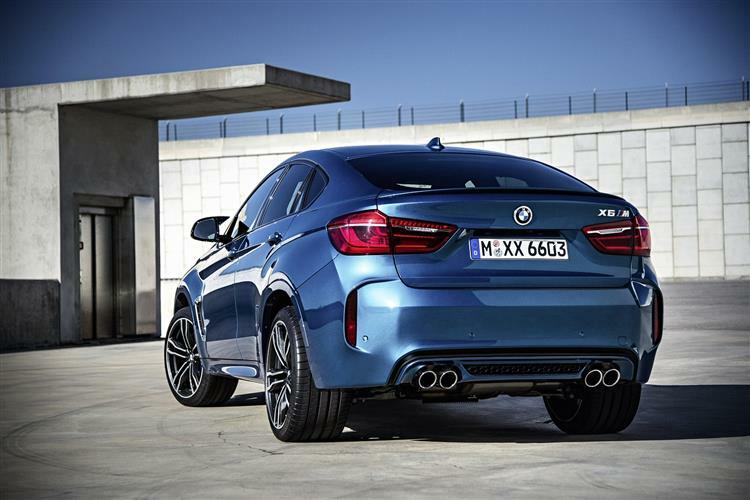 Jonathan Crouch takes a look at the BMW X6 M.
BMW has substantially improved the wild M version of its X6 luxury SUV coupe. With 575bhp and 750Nm of torque, it has brutal performance on tap and a cutting edge 4x4 transmission system to help marshal it all. One suspects that the main purpose of this vehicle will be attracting attention and it'll certainly do that. 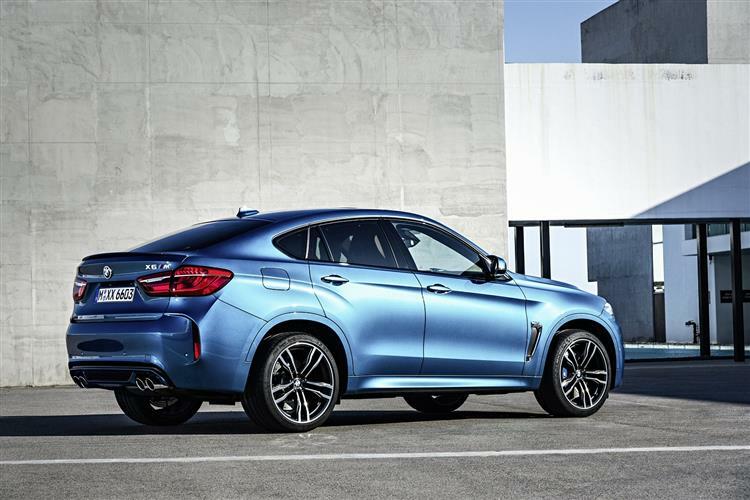 Just when you thought the popularity of big petrol-engined 4x4s was buckling under the pressure of mounting running costs and increasing environmental awareness, BMW launched the X6 - a vast luxury 4x4 coupe. Then things got even worse, the credit crunch hit, horns were pulled in, hatches were battened down and in 2009, somebody at BMW came up with the X6 M. This was a vast luxury 4x4 coupe with a 4.4-litre twin turbo V8 engine, here improved with a new M TwinPower Turbo V8 engine putting out 575bhp. 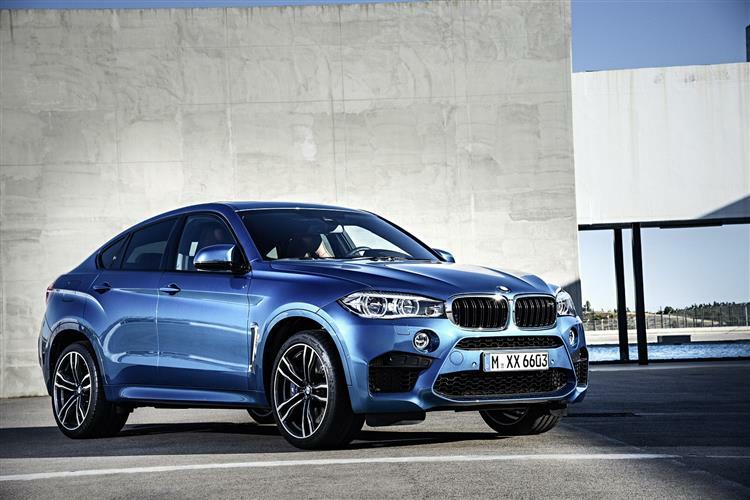 If you had to build a genuinely high performance SUV, the BMW X6 wouldn't be a bad place to start. The car is huge but it seems to shrink to fit around its driver as a result of its direct steering and rigid body control. It's still more leisure suit than leotard, though. 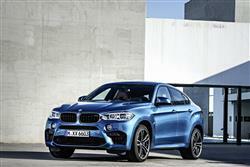 The X6 M ups the anti in traditional M car style with more power and lots of it. 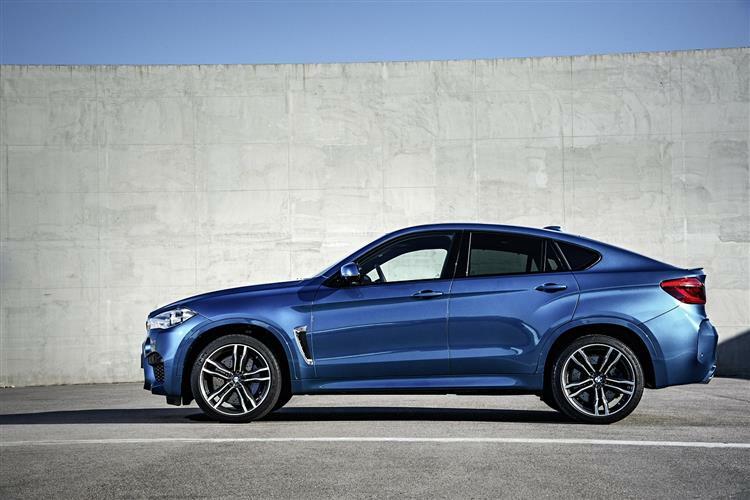 The 4.4-litre V8 engine uses TwinScroll turbochargers to achieve its 575bhp power output and that's enough to get the X6 M off the line and through the 62mph barrier in 4.2s. That big hunk of power is distributed through the xDrive 4x4 system which uses Dynamic Performance Control technology to optimise traction. Rather than braking individual wheels, Dynamic Performance Control works like a differential, reducing the power fed to wheels that are losing grip for smoother results with less reduction in performance. The twin turbo technology in the engine bay of the X6 M produces a huge degree of flexibility. The turbos work in tandem to make the unit's 750Nm maximum torque available from 1,500rpm all the way up to nearly 5,000rpm. The 8-speed M Steptronic automatic gearbox has its work cut out dealing with those mighty reserves of shove but the upgraded unit should be up to the task. It can be set to Drive, Sport or Manual modes with the latter allowing gears to be selected via the steering wheel paddle shifters. There's launch control for replicating those Grand Prix starts and the independent suspension is 10mm lower than on a standard X6. Needless to say, off-road driving will not be advisable. Other road users will be left in no doubt that it's time to move over when an X6 M looms up in their rear view mirrors. 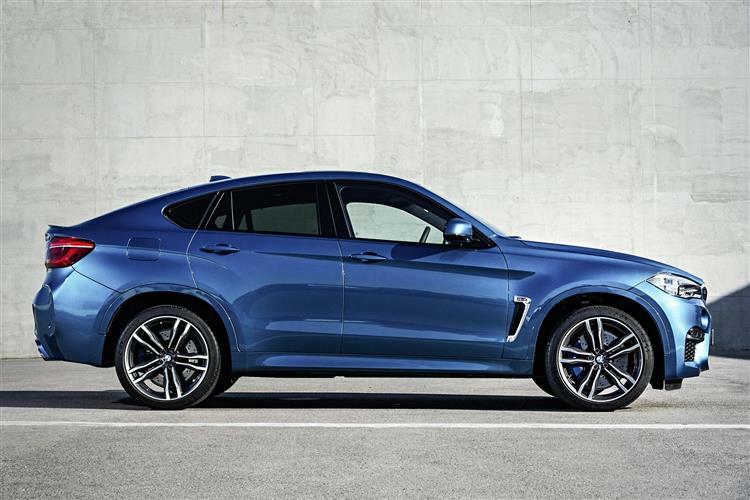 The X6 is an imposing prospect at the best of times but with the M version's 20" alloy wheels, oversize front wing with yawning air intakes, bulging bodywork and quad tail pipes, it becomes utterly menacing. The pumped-up design is not merely intended to frighten small children, it also delivers the extra aerodynamic downforce needed to get the most from a 575bhp SUV. Modern M cars have made a new degree of adjustability available to their owners with a host of settings through which the set-up of the car can be tweaked. The X6 M is no exception but here, the minefield of settings has been grouped together within the M Drive Manager menu system. 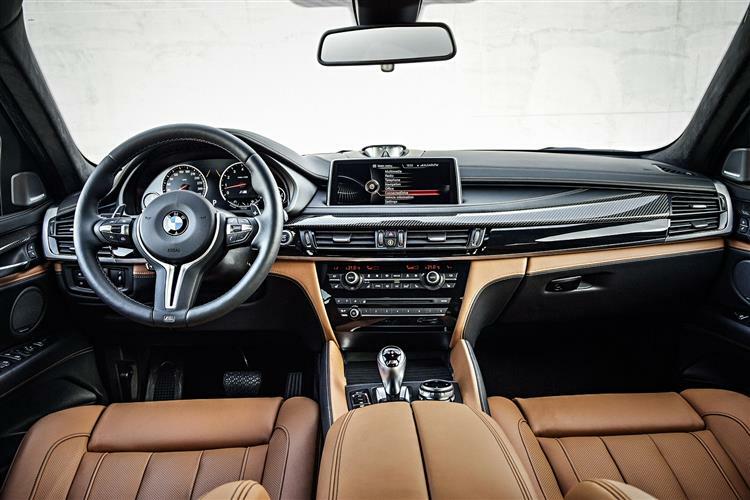 When owners first learn that the electronic dampers, the stability control software, the steering assistance and the contents of the heads-up display can all be tinkered around with, they may feel that they need a week's training course but BMW has worked hard to make it accessible. A predetermined group of settings can be instantly engaged at the press of a single button on the steering wheel so you can instantly get sporty when a good road presents itself. 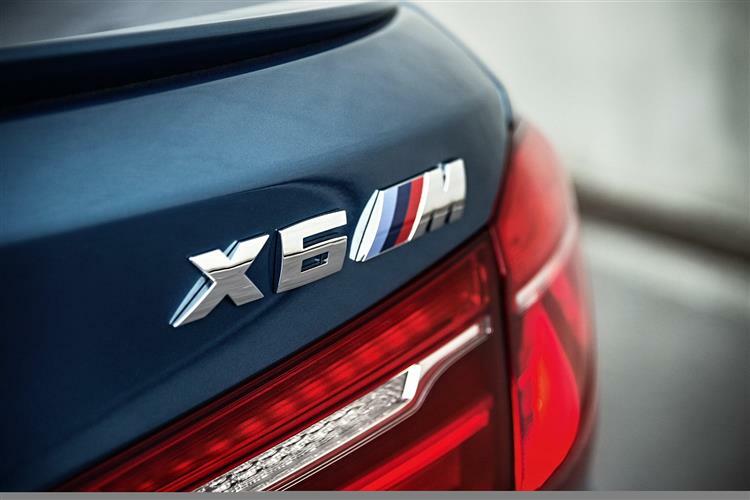 Lest you forget, the X6 M has more M badges than your local Morrisons supermarket to help justify its £93,000 asking price. 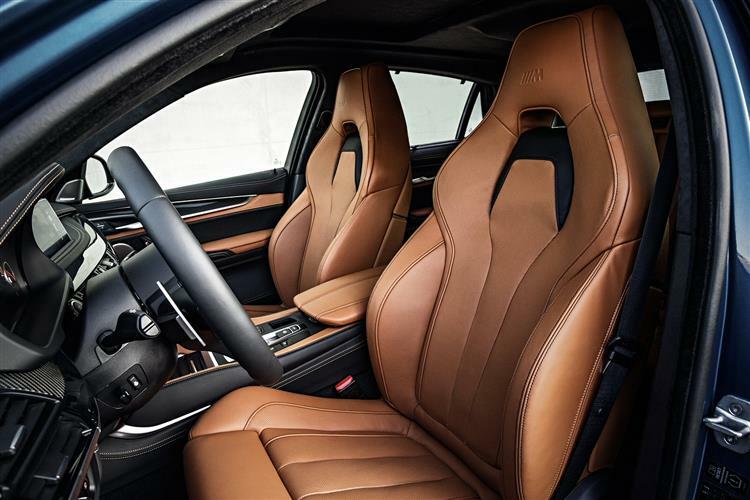 M Sport seats, an M leather steering wheel, M instruments and even an M footrest on which to prop your (optional) M driving shoe, are all included. The specification is as luxurious as you'd expect with dual zone climate control, heated seats, satellite navigation and 230-watt 12-speaker stereo. The X6 M also has an automatic tailgate thrown in. Safety equipment beyond the car's high performance braking system includes six airbags and a set of impact activated head restraints. There will also be substantial active safety benefits to be gleaned from the advanced 4x4 system and the stability control technology that's built in. There's no way around the fact that giving a two tonne SUV this kind of performance is going to require a lot of fuel. 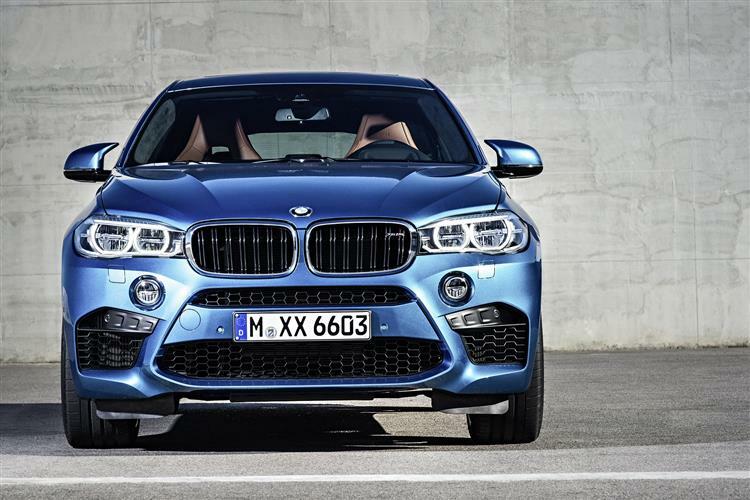 BMW has attempted to take the edge off the thirst of the X6 M with its EfficientDynamics technology but no amount of brake energy regeneration is going to put a significant dent in the running costs of this leviathan. As a result, though BMW quotes 25.4mg on the combined cycle, in reality, you'll struggle to crack the 20mpg mark in everyday use. 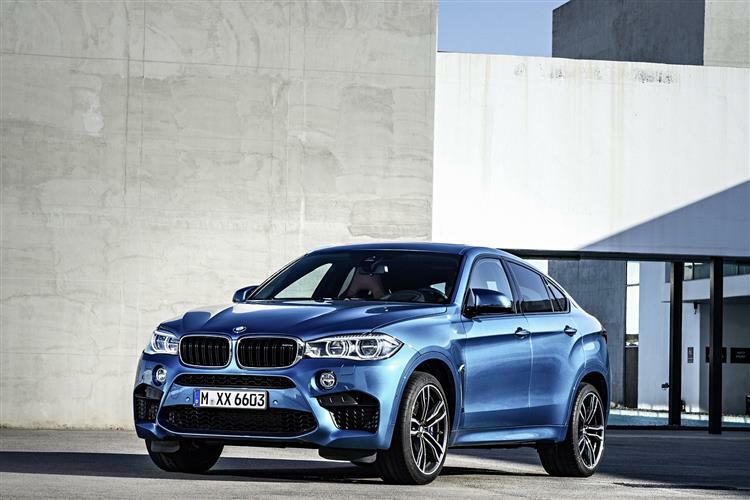 The saving grace for BMW is that most customers with the budget for an X6 M won't care too much about a few extra litres of fuel or the 258g/km CO2 figure. If you thought that the standard X6 was at the extreme end of the luxury SUV market, you probably shouldn't even think about this crazier X6 M version. 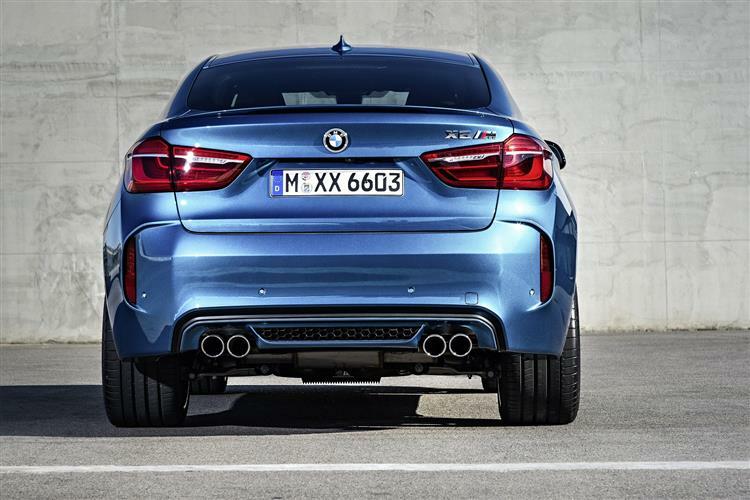 It pumps up the power and the attitude of this super-sized 4x4 coupe to levels that set new standards even for BMW's M Sport performance division. It might administer a major two fingered salute to the prevailing environmental and economic sensibilities of our time but hands up who'd like a go.